It is our mission to supply our customers with high quality materials and services with competitive pricing and outstanding customers service. We understand and appreciate the many challenges our customers face regarding accuracy, complexity and deadlines. 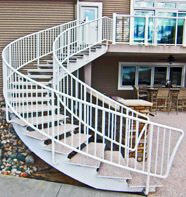 It is our goal to meet and exceed expectations with our product knowledge and our fabrication and design abilities. We are located in the Corunna Industrial Park. SLH Metals, Inc. is very diverse in our product offering. Most of our work is custom one of a kind projects. We have done projects for the automotive industry, manufacturing industry, environmental industry, railroad industry, airline and agricultural industries. Never forgetting our roots, we also continue to service our walk-in customers which vary from hobbyists to local farmers. Our employees are trained in all aspects of metal fabrication including various welding applications and specialized services. Along with great service, we offer a wide variety of raw materials and fabricated parts to meet all your special project needs. SLH Metals, Inc. is an equal opportunity employer.